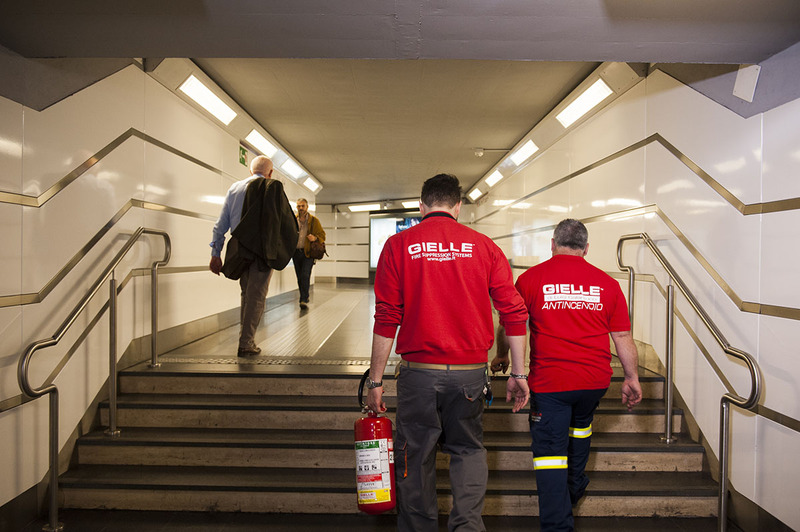 Gielle Srl offers smoke and heat evacuation systems maintenance. The smoke and heat evacuation systems (EFC), are made up of natural or mechanical ventilation of rooms with manual or automatic operation, sometimes coupled with smoke curtains are covered in Directive 89/106/EEC, adopted in Italy by DPR n. 246 dd. 31.04.1993. 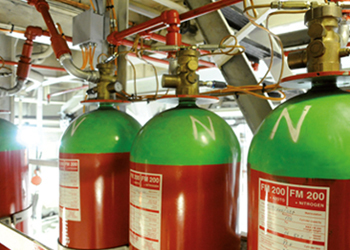 These systems are used to extract the fumes from the airlines concerned and the heat generated by a fire, helping to contain the lateral propagation and to create under the state of fumes in the suspension area free from fumes themselves, thus guaranteeing to maintain mackerel from combustion products evacuation and escape routes and access for fire-fighting operations. 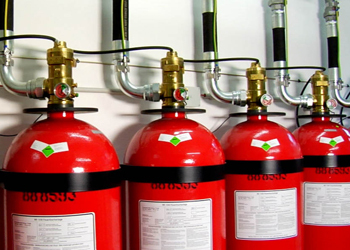 It also helps to delay or prevent flash over (generalized fire) and to reduce the risk of collapse of the structural elements of the area due to the increase of temperature. 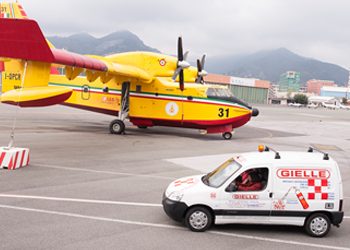 The effective action of the system of smoke and heat evacuation occurs in the first stage of the fire, with temperatures up to 300 ° C.
It therefore emphasizes that the EFC systems, like all other fire protection systems, shall come into operation in the first minutes after the outbreak of the fire. The UNI 9494, already in the definitions and terms, introduces the compartment (A), sector limited by building walls and ceilings resistant to fire and the compartment ceiling (As), area between two walls or between smoke-tight two structural elements similar (for example beams). Paragraph 5 of the UNI 9494 defines how the system should be designed. The EFC must meet a number of features that the manufacturer must satisfy. Every single EFC has its own opening command with an independent source of energy and thermal release at 68, 93 or 141 ° C. The autonomous source of energy is a cartridge containing 30 g of CO2. Each group of EFC, group that covers a compartment or a part of a compartment (generally areas from approximately 1600 m2), has its own command to open fire. This remote control is the most important because it provides ventilation fire, evacuation of smoke and hot gases from the area under fire.